Knowing the hospital or birth center policies ahead of time can benefit both families. For the birth mother, knowing what types of limitations might occur for people in the room during the birth might help with writing a birth plan. Understanding what can happen at each point during the birth may also help. For the adoptive parents, finding out what policies the hospital has for adoption situations might help with planning for the big day. Sometimes, facilities will set up the adoptive parents in a room with the baby that is near the birth parents. This might be contingent upon the number of rooms that are open when the baby is born. Who will make the decisions for the baby’s care? How involved will each person be in the daily routines? Will a baby boy have a circumcision at the hospital? What will happen if there are medical issues with the baby? Both families will have mixed emotions when it is time to leave the hospital. The birth family will probably be happy to be heading home but might feel a little down since the baby won’t be coming with them. The adoptive family will likely be happy but may have a little sadness when they think about the birth parents. In the case of an open adoption, it might help both families if they can make an agreement for what is going to happen in the upcoming months. This helps to set the standard for what everyone can expect. It is especially important to discuss how the adoptive parents are going to communicate and share the baby’s growth with the birth parents. Other items might also be necessary if the parents are going to be traveling a long distance. It is always better to be overprepared than underprepared when you are bringing home a new baby. Don’t forget that the hospital might send home some of the supplies that the baby had left from his or her stay. The birth parents might find that they are going through a range of emotions after the birth of the baby. It is usually best for them to plan to relax a bit when they get home. The mother will need time to heal from the strenuous process of childbirth. Making plans to visit with other birth parents who have chosen adoption might be beneficial, but these meetings might need to take place online or over the phone while the mother heals. The adoptive parents will have a new world when they get home. They need to make sure that the baby is taken care of, which can be a complex undertaking. Well-wishers might want to stop by to welcome the new family member; however, it is usually best if the adoptive parents put this off for a bit. They need time to get to know their baby and to adjust to their new life. While close family members might be welcome, others should understand if the family does ask them to wait for a while. The adoptive family might choose to have a party or celebration when the adoption paperwork is finished and everything is official. One of the first things the adoptive parents will need to do is to make the baby a doctor’s appointment for a checkup. Setting this up as soon as possible after the birth can help ensure that the baby will have a pediatrician who can care for the baby if there are any illnesses or other issues that show up. Are you going to allow family members and friends to kiss the baby? Who can hold the baby? How will you introduce the baby to siblings, children and pets? Taking the time to get ready for the arrival of the new baby is time well spent. Knowing what you are going to do can help you to focus on the baby when the time comes. 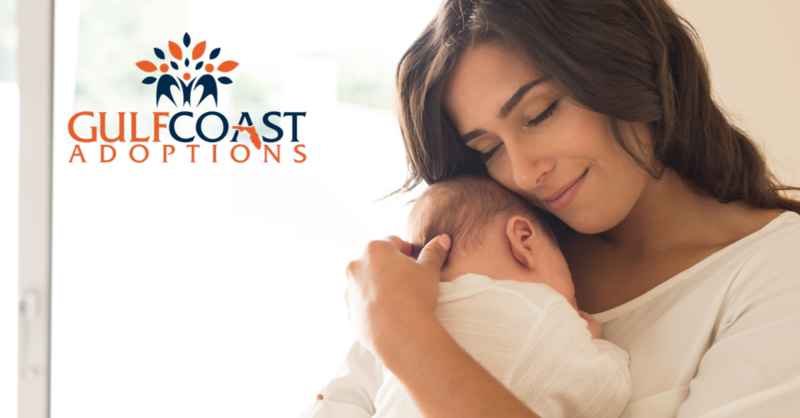 Whether you are planning on placing your baby for adoption or want to pursue the adoption of a baby, Gulf Coast Adoptions can help you along the way. Our professionals are ready to work with you today.